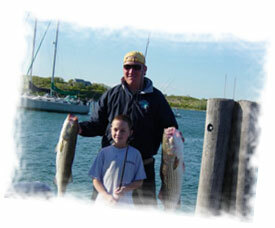 Fly Fishing: Enjoy fly-fishing Cuttyhunk’s famous Sow and Pigs as well as the coasts of other Elizabeth Islands. Charters available for groups up to four. To maximize your experience, please bring your own rods and flys. Some flys can be provided. 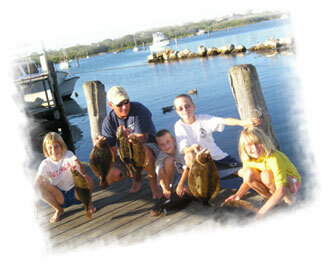 Bottom Fishing: Great fishing for the kids! Poles and fluke rigs provided. 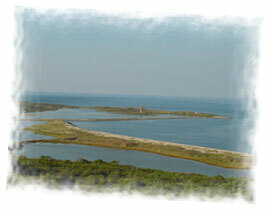 Coast along Cuttyhunk’s sand flats to find the elusive fluke and flounder. Casting: We’ll cruise along our shores to try and bring in one of our famous Cuttyhunk bass or blues. Poles and lures provided.